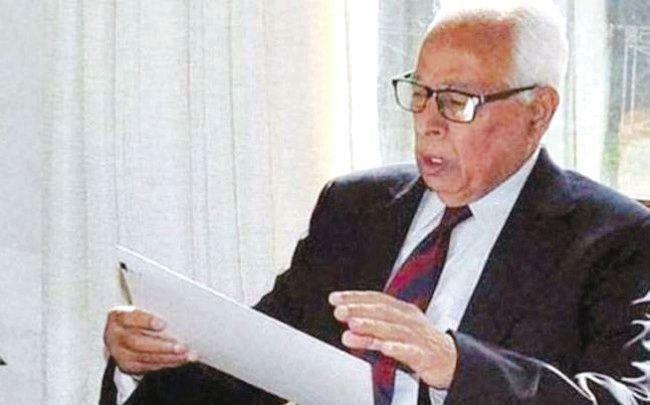 SRINAGAR: Governor N N Vohra on Thursday decided to approach Centre for special funds to complete all projects in state which have been pending due to lack of required financial resources, even as he asked the State Planning, Development and Monitoring Department to urgently prepare a comprehensive State-wide list of all such development projects. The Governor has also called for an assessment of the total funds required for completing all such projects within the next 2 years. The significant move has come in the backdrop of Vohra’s recent visits to various districts in all the three regions of the State where he noted a number of long-standing projects which have not been completed for want of resources, besides many such projects taken up without the requisite approvals which were also required to be completed to salvage the large expenditures already incurred. Chairing a high-level meeting this afternoon to review the status of public works projects, Governor observed that after Chief Secretary has drawn up a reliable assessment he would address the Govt of India and request for a one-time sanction of a special grant to complete all pending projects and put to use the investments made in these works. Governor asked Chief Secretary to study all the cases, involving very large expenditures already made, and advise the kind of systemic hurdles which may be improved to ensure against unauthorized sanctions of building works being made in the future. Governor asked Chief Secretary to evolve a scheme for instituting annual awards to recognize and reward engineers, construction companies and contractors whose work is commendable. He also called for incentivizing executing agencies for completing developmental projects ahead of the scheduled time while maintaining the requisite specifications and quality of work. Such a move, he said, will go a long way in encouraging best practices in the execution of construction works. Advisors to Governor B B Vyas and Khurshid Ahmed Ganai and Chief Secretary B V R Subrahmanyam participated in the meeting.